Paul Falcone has served as vice president of human resources for NBC Universal Entertainment Production, where he oversaw HR for both prime time and late night programming, including The Tonight Show, House, Saturday Night Live, The Office, 30 Rock, and Law & Order. Prior to joining NBCU, Paul served as the vice president of employee relations at Time Warner Cable in Los Angeles, supporting a client population of 8,000 call center and field operations employees with an HR team of 40 business partners. 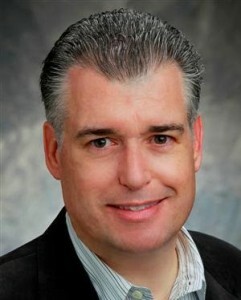 Paul spent nine years with Viacom as the VP and West Coast head of human resources for Nickelodeon, where he was responsible for all aspects of HR leadership and strategy, as well as the head of international human resources for Paramount Pictures with operations in Europe, Asia, and Latin America. Paul began his career in the contingency search field as a headhunter and nationally recognized sales trainer, and former HR roles include director of employee & labor relations at the City of Hope Cancer Center as well as director of staffing at Platinum Equity, an $8 billion private equity M&A firm located in Beverly Hills, where he was responsible for pre-acquisition due diligence and for spearheading C-level (CEO, CFO, COO) recruitment for newly acquired portfolio companies. His experience encompasses publicly traded and privately held, for-profit and non-profit, union and nonunion, and domestic and international companies. Paul is the author of nine books published by the American Management Association (AMACOM) and/or The Society for Human Resource Management (SHRM), four of which have reached bestseller status. The “SHRM Great 8″ list captures the top eight bestsellers in the field of human resources management every year, and Paul’s recent recipients of SHRM’s prestigious Great 8 award include 101 Sample Write-Ups for Documenting Employee Performance Problems, 101 Tough Conversations to Have with Employees, 96 Great Interview Questions to Ask Before You Hire, and 2600 Phrases for Effective Performance Reviews. In addition, several of his books have been translated into Chinese, Korean, Vietnamese, and Indonesian. He is a long-term contributor to HR Magazine and instructor in the UCLA Extension School of Business and Management as well as a top-rated presenter at the SHRM national conference. He holds his bachelor’s and master’s degrees from UCLA.